Even though I have been on a journey to lose 40 pounds, I still like to eat. In the summer time, when I am busy with summer baseball 4 nights a week, I like to eat out. Eating out can get expensive, so I like to look for ways to save money. Restaurant.com , specifically, Restaurant.com Gift Cards , are a great way to do it. For fifteen bucks, I can get a Restaurant.com $25 Gift Card . I then use the gift card to purchase coupons on the Restaurant.com website for discounts on my favorite local eateries.One local place we like to take the kids offers a $50 gift certificate for only $20. This allows us to eat there for pennies on the dollar. In this example, we get a $50 gift certificate for $12- THAT's a GREAT DEAL, and it's indicative of the deals you will find on Restaurant.com . 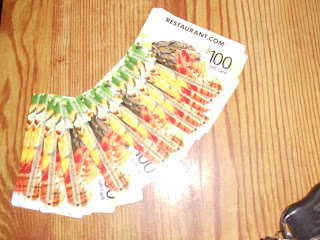 To celebrate my new affiliation with Restaurant.com , I am giving away a $100 gift card to a lucky reader. To be eligible, leave a comment below. I will pick a winner on July 22 (one month from today). Without these gift cards, my family probably couldn't afford to eat out as much as we plan to this summer- that means I would have to cook more and I don't like to cook as much in the summer because it gets too hot to cook sometimes and I am coaching baseball 5 days a week. We will also get to try lots of places we may not have otherwise tried (that's the goal of the program). What makes this different than other "social deal" sites is I can use my Restaurant.com Gift Card anytime for any restaurant on the list. I am not limited to the "deal of the day" like I would be with other deal sites. I am SO THANKFUL for these deals- it is going to make my summer SO much easier and far more enjoyable; all without breaking the bank. Get a Restaurant.com Gift Card today-they make great gifts too! I'd love to win one! 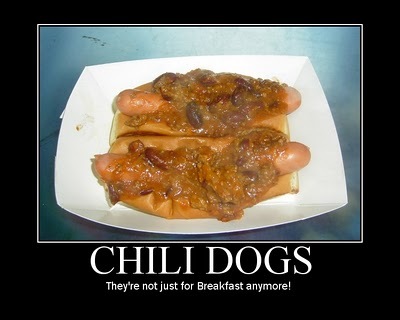 Good luck on your hot dog a day journey!